Welcome to ECPH, your Authorized Southco® Distributor! – the NEW Southco® Handbook – Free! Southco has built an unmatched portfolio of access hardware solutions and has set the industry standard for a product catalog that is truly a reference guide. 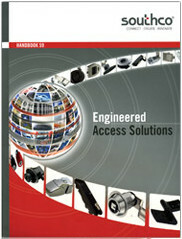 Contact ECPH for your FREE Southco Handbook – your conduit to the world’s largest selection of Engineered Access Hardware Solutions!